Clopay’s E-Z Set Spring System is one of our company’s top recommendations. 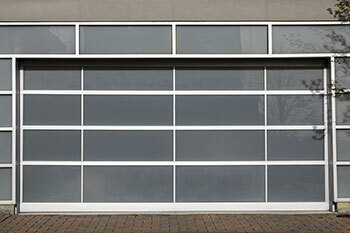 These systems like any other spring system best installed by a professional, so give us a call. This Clopay system is actually much safer to install and easier to repair than your traditional extension and torsion spring systems given that common tools can be used for these springs as opposed to specialized tools. They come with an easy installation guide, so for the handy and experienced owners it is possible to take it on as a project. However, in case your old springs are not of this type, avoid from replacing them by yourself and call a professional. 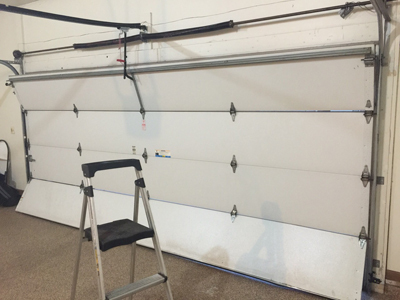 Clopay’s E-Z Set Spring System also features safety cables to ensure a snapped spring does not cause injuries, galvanized springs that have a long life span, and their Safe-T-Bracket safe for handy garage door owners who prefer working on their own door when it has problems. Their torsion spring system doesn’t require a preparation of the center-mounting pad and doesn’t require the dangerous manual winding as some other spring systems do. Overall, Clopay’s E-Z Set Spring System makes for a simple and easy installation while making it easy to work on the system themselves to make a repair or adjustment. If you would prefer to install the E-Z Set System on your own, check out Clopay’s website for specific how-to videos for each installation. Do keep in mind that it is strongly advised not to mess with the springs in any way in case you are not experienced handling garage doors. The tension accumulated in the springs is very dangerous when unleased, and you can get hurt either by the spring itself or your door.